The Dark Night of the Soul: How might this approach to suffering be relevant to contemporary life? There are certain passages in a lifetime, sometimes brief, sometimes extended, when all the usual frameworks of understanding the human condition prove to be inadequate. Modern medicine, and indeed modern psychology, does not do well with Dark Nights of the Soul. The use of cognitive therapies, of anti-depressants, of “getting over” things as fast as possible, of “finding closure”, of minimizing suffering are nonsense when one is in a Dark Night. C.G.Jung said that inevitably a spiritual dimension becomes necessary in psychological work - after all, it is soul-work, psyche work. 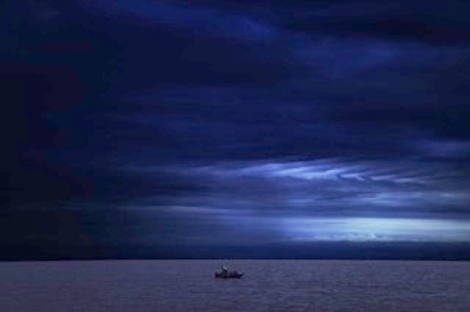 If we follow Jung’s thoughts here, the sorrow and suffering are in the service of the soul’s journey - The Night’s Sea Journey, as Jung called it. Jung also found a paradigm that allows for this experience in the processes of alchemy, in the nigredo or blackening. The ego does not like blackening. It does not like descent into the “perilous chasm, where one falls into deep, swirling, unknowably dark waters", as the I Ching puts it. No detours are possible, the only way is through. We feel hopeless, helpless, betrayed, thwarted - and depressed. Especially depressed. How does wrestling with despair in the darkest corners of inner and outer life evolve to create depth of character and resilience? How might the Dark Night be related to Individuation? In this talk Kaye will draw upon diverse spiritual traditions, which give us clues how we might navigate this trackless territory. Thomas Moore in his very popular book “Dark Nights of the Soul” speaks from this potent place as one who knows it well. The Christian and Buddhist traditions, as well as ancient mythology, will provide some further guidance. 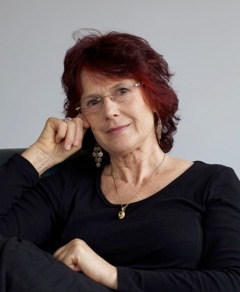 Kaye Gersch PhD has been working in allied health fields since the 1970's and as a psychoanalytic psychotherapist for 25 years. She lives in Cairns, Australia. Her training is eclectic, including the Jungian and Psychoanalytic traditions as well as philosophy. She has been Clinical Supervisor for 12 years, and in this role works as mentor to GPs and other medical specialists. She also has specific training for working with couples, which is a cherished part of her practice. Her PhD is in Psychoanalytic Feminist Philosophy (University of Queensland). However, she considers her real training to be the face-to-face encounters with clients, and the deep demands of her own life.